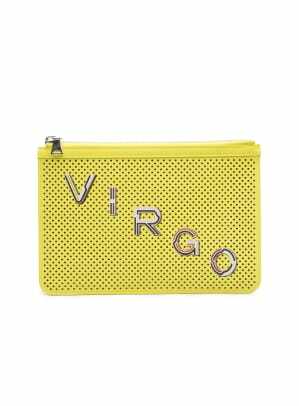 This summer, handbag designer Anya Hindmarch told Business of Fashion that her line of colorful and kitschy stickers had driven over $18 million in sales since its debut for the spring 2015 season. The self-adhesive permanent stickers, which can be placed anywhere on bags, are priced from £35 to £125, about $54 to $195, and are therefore much more accessible that anything else in her collection — where a tote bag can run around $1,550. She had ordered about 300,000 stickers at the time. Proenza Schouler is now pursuing a similar kind of strategy to boost sales. Starting Wednesday, the New York-based brand is selling its very own line of pins to complement its new perforated handbag styles. While they debuted online (on the brand&apos;s site and Net-a-Porter) Wednesday, they were available earlier this month at an Isetan Shinjuku department store pop-up in Japan and have already made their way onto the arms of celebrities like Gigi Hadid. 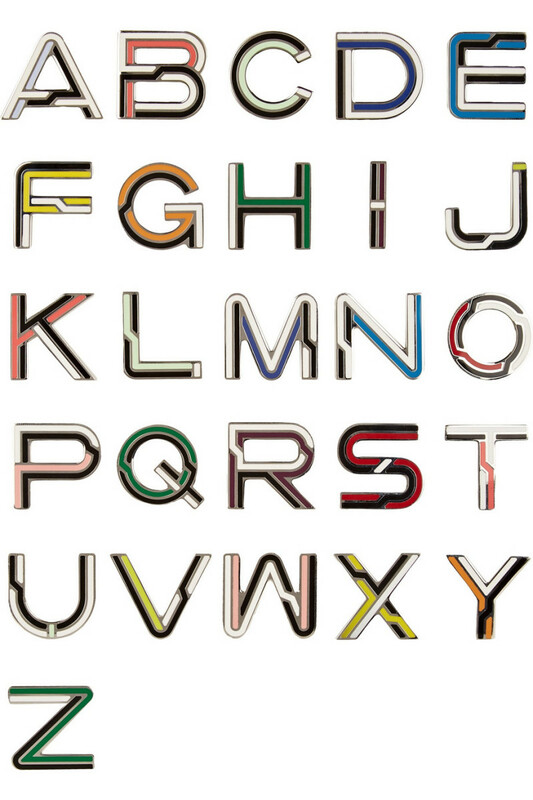 Proenza Schouler pins, $75 each, available at Net-a-Porter. Selling more bags has been a goal for Proenza Schouler since private equity firm Castanea Partners bought a minority stake in the brand in June. Interim CEO and Castanea Operating Partner Ron Frasch told The New York Times then that the biggest priorities were to reduce expenses, develop a signature category and boost handbag sales. “It&apos;s slowed down a bit over the last year and a half, and it&apos;s our highest margin business, with the greatest opportunity for growing points of sale," he said. Unlike Hindmarch&apos;s permanent stickers, the Proenza Schouler pins are removable and attach to perforations with a flat back screw. Priced at $75 each, the pins are available in letters and numbers. 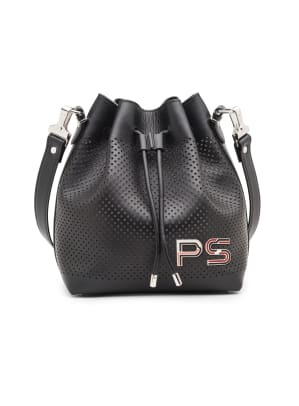 There are eight different perforated bag styles in black, white and yellow ranging in price from $1,885 for a medium PS1 and $375 for a zip pouch. 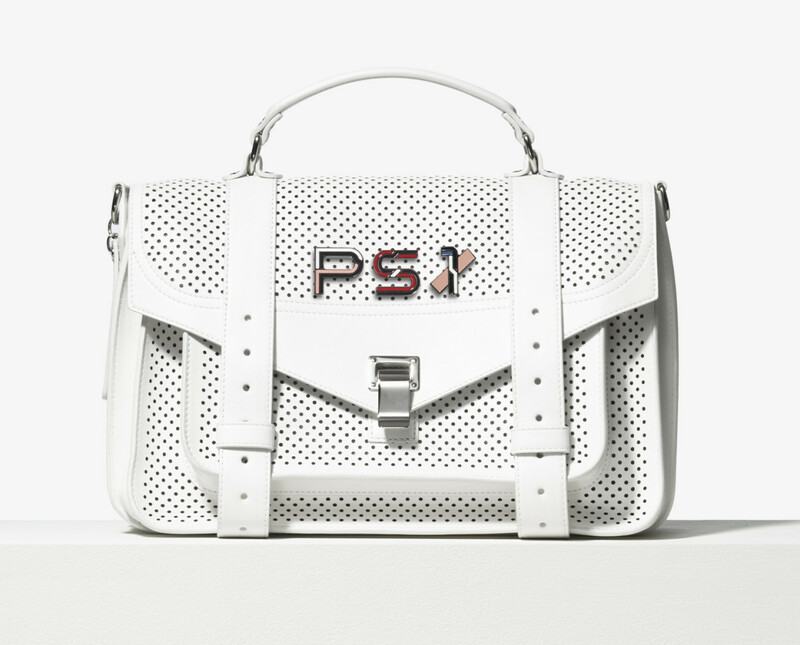 See Proenza Schouler&apos;s perforated bags and pins below. Yesterday, there was a little bit of an internet shitstorm over two musicians' appropriation of a web art aesthetic that's currently popular on Tumblr. Now, thanks to Proenza Schouler, three's a trend. Now watch us try to figure out what this trend is and who did it first. Many of the designs will borrow from past runway collections.